Protects treated filter inhibits up to 99% of mold growth. Antimicrobial treatment helps prevent the growth and migration of mold, fungus and bacteria on the filter. 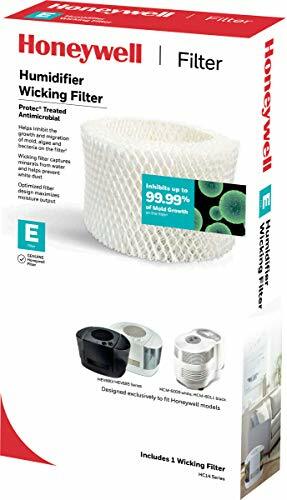 Note that this is an aftermarket replacement humidifier wick filter manufactured specifically by ECO_MAID(TM) for high quality allergen protection. Any humidifier manufacturer brand name is used solely for the purpose of demonstrating compatibility. This is NOn a OEM product. Replacement WF2 Humidifier Filter for Honeywell ,Vicks ,Sunbeam， Traps Water Impurities & Dissolved Solids Before They Become Airborne. For Honeywell: HCM-630, HCM-631, HCM-645, HCM-650, HCM-300T, HCM-315T, HCM-350, HCM-350B, HCM-1000, HCM-2000, HCM-540 Series & HCM-710. Enviracaire: ECM-250i & ECM-500. For best results, change air filter at least once per season or more often depending on air quality and use. 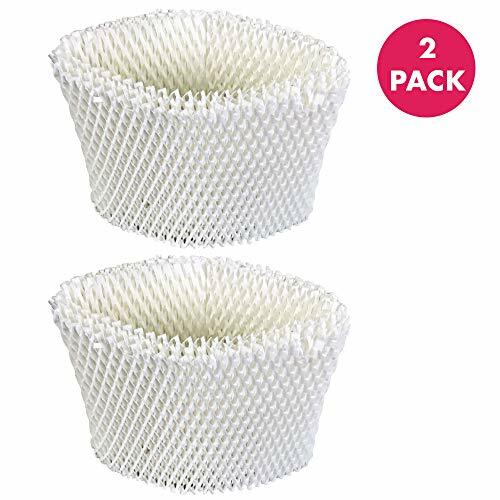 2 PACK OF AIR FILTER REPLACEMENTS COMPATIBLE WITH VICKS PART #WF2: Premium replacement air filter parts for Vicks Style air filters. Pair Replacements with Part #WF2. Get back to having clean air to breathe with our lightweight, high quality, germ, pet smell, and smok air purifier. Dust and mold air cleaner and eliminator for home, bedroom, living room, filtration.Have peace of mind that pollution,cigarette smell,indoor cooking odors can be filtered for an apartment,house,high-rise, or condo. HEALTHIER LIFESTYLE! No one wants to breathe in dirty air and if you don't clean your air filter that will be exactly what you'll be doing! Replacing your filter will help clean your air and allow for a healthier lifestyle! 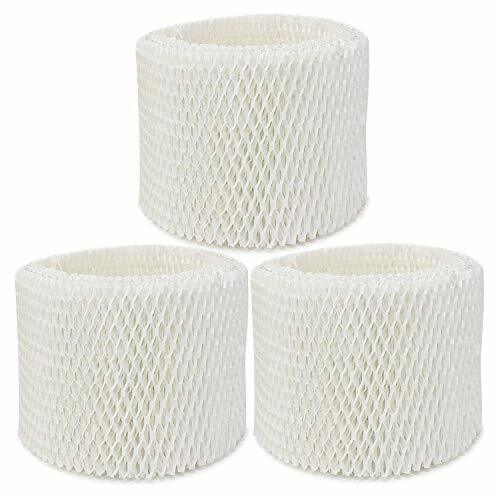 This filter fits Vicks V3500N, Vicks V3100, Vicks V3900 Series, Vicks V3700, Sunbeam 1118, 119, & 1120 Series & Honeywell HCM-630, HCM-631, HCM-645, HCM-650, HCM-300T, HCM-315T, HCM-350, HCM-350B, HCM-1000, HCM-2000, HCM-540 Series & HCM-710 Series. EASY TO INSTALL so you can get back to breathing clean air as soon as possible! Simply remove your old filter and put this brand new one in it's place! This filter is comparable to model # WF2. SAVE MONEY by using a new air filter! When your Vicks WF2 Humidifier has a clogged or dirty air filter it can cause it to work harder which will end up hurting your electric bill! 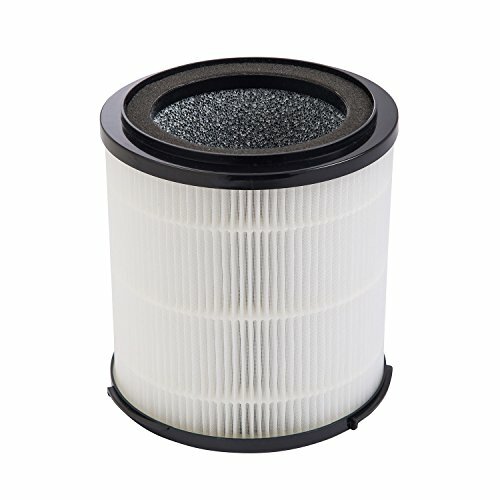 This filter also fits Enviracaire ECM-250i & ECM-500 & ReliOn WZ-8D. GUARANTEED SATISFACTION because of a 30 day full money bank guarantee and a trusted Think Crucial warranty. We are so confident in our products that we have no problem giving you every penny back if you're unhappy with your purchase. You won't see promises like that from big box brands! 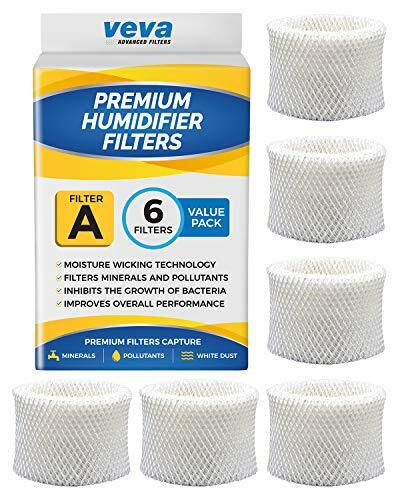 INCREDIBLE VALUE - You will get 6 humidifier filters. 600% more filters than others that only include 1 filter. 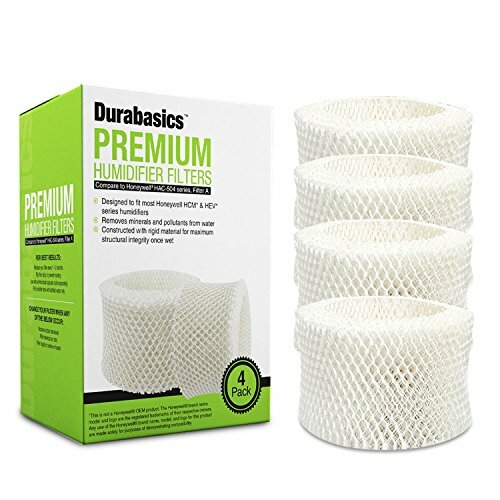 This complete value pack provides enough clean filters to improve your humidifiers moisture wicking, filtration, and performance for 1-2 years. PERFECT FIT - Compatible with HCM-300 Series, HCM-500 Series HCM-600 Series, HCM-700 Series, HCM-1000 Series and HCM-2000 Series humidifiers: HCM 300T, 305T, 310T, 315T, 350, 350B, 530, 535, 535-20, 540, 550, 550-19, 551, 560, 630, 631, 632, 632TG, 635, 640BW, 645, 646, 650, 710, 1000, 1000C, 1010, 2000C, 2001, 2002, 2020, 2050, HEV-312, HEV-355. These are perfectly designed to fit Honeywell machines that use Filter type A, HAC-504, HAC504. UPGRADE YOUR HUMIDIFIER - VEVA's premium value pack kit helps you replace your filters more often to improve your machines germ free moisture wicking power along with stop bacteria and mold growth for a cleaner home. VEVA's premium filters capture minerals and pollutants to improve the air quality in your home. 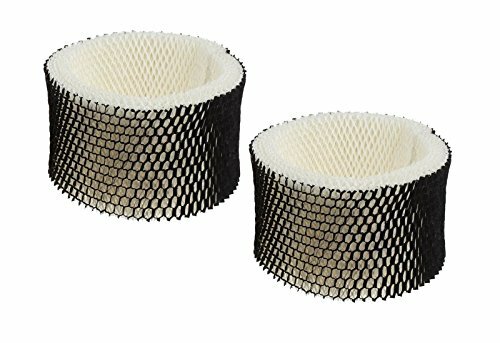 SUPERIOR QUALITY - Compared to other filters, VEVA's improved wick filter design maximizes moisture output from the humidifier. It captures mineral from hard water to stop white dust. 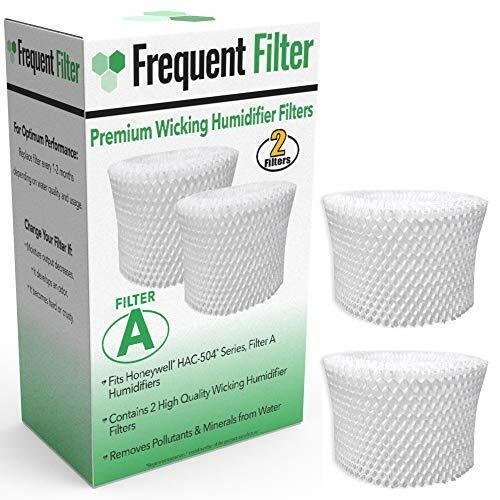 These filters are ideal for anyone who needs a clean and effective humidifier experience. 100% MONEY-BACK GUARANTEE - Feel the difference in your humidifier machine or your money back, no questions asked - just a prompt, courteous refund. At VEVA Advanced Filters, we want to ensure you have a clean, healthy and safe home. Designed to fit: HCM-300 Series: HCM-300T, HCM-305T, HCM-310T, HCM-315T, HCM-350, HCM-350B, HCM-350W, HCM-450BCST, HCM-500 Series: HCM-530, HCM-535, HCM-535-20, HCM-540, HCM-550, HCM-550-19, HCM-551, HCM-560. HCM-600 Series: HCM-630, HCM-631, HCM-632, HCM-632TG, HCM-635, HCM-640BW, HCM-645, HCM-646, HCM-650, HCM-700 Series: HCM-710, HCM-1000 Series: HCM-1000, HCM-1000C, HCM-1010, HCM-2000 Series: HCM-2000C, HCM-2001, HCM-2002, HCM-2020, HCM-2050, HCM-2051, HCM2052, HEV-312, HEV-355. Replaces part # HAC-504, HAC-504AW, HAC504V1. Fits: HCM-300 Series: HCM-300T, HCM-305T, HCM-310T, HCM-315T, HCM-350, HCM-350B, HCM-350W, HCM-450BCST, HCM-500 Series: HCM-530, HCM-535, HCM-535-20, HCM-540, HCM-550, HCM-550-19, HCM-551, HCM-560. HCM-600 Series: HCM-630, HCM-631, HCM-632, HCM-632TG, HCM-635, HCM-640BW, HCM-645, HCM-646, HCM-650, HCM-700 Series: HCM-710, HCM-1000 Series: HCM-1000, HCM-1000C, HCM-1010, HCM-2000 Series: HCM-2000C, HCM-2001, HCM-2002, HCM-2020, HCM-2050, HCM-2051, HCM2052, HEV-312, HEV-355. Fits Vicks Models: V3100, V3500, V3500N, V3600, V3700, V3800, V3850, V3850JUV, V3900, V3900JUV, VEV320. Also Fits: 3020. ECM-250i, ECM-500. WA-8D. This humidifier filter is designed to prevent growth and migration of mold, fungus, algae, and bacteria. 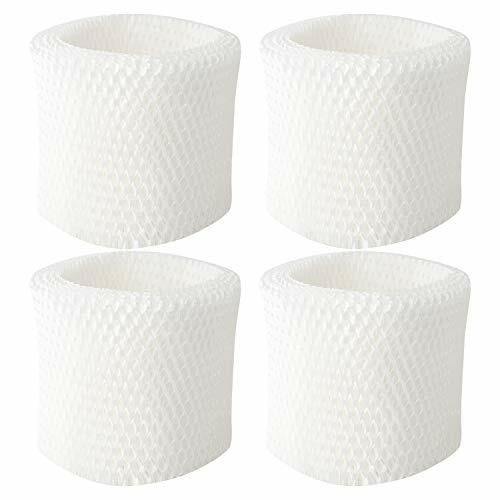 These aftermarket replacement air filters are made to For Holmes: HM1100, HM1118, HM1119, HM1120, HM1300, HM1700, HM1701, HM1740, HM2025, HM2030, HM1230, HM1275, HM1280, HM1281, HM1285, HM1295, HM1296, HM1297, HM1740, HM1450, HM2408, HM2409, HM1760 & HM1761. For Sunbeam: SCM1100, SCM1701, SCM1702, SCM1762 & SCM2409. Vicks: V3100, V3500, V3500N, V3600 & V3800.Sunbeam: SCM1100, SCM1701, SCM1702, SCM1762 & SCM2409. Vicks: V3100, V3500, V3500N, V3600 & V3800. PERFECT FIT-Our unrivaled replacement kit is 100% compatible with the original vacuum cleaner and you will have no problem installing it properly. No tools or special skills are required! Absolutely essential for allergy sufferers! Dimensions: 5 H x 4 1/4 ID x 6 1/2 OD x 1 Thick. ompatible with HCM-300 Series: HCM-300T, HCM-305T, HCM-310T, HCM-315T, HCM-350, HCM-350B, HCM-350W, HCM-450BCST, HCM-500 Series: HCM-530, HCM-535, HCM-535-20, HCM-540, HCM-550, HCM-550-19, HCM-551, HCM-560. HCM-600 Series: HCM-630, HCM-631, HCM-632, HCM-632TG, HCM-635, HCM-640BW, HCM-645, HCM-646, HCM-650, HCM-700 Series: HCM-710, HCM-1000 Series: HCM-1000, HCM-1000C, HCM-1010, HCM-2000 Series: HCM-2000C, HCM-2001, HCM-2002, HCM-2020, HCM-2050, HCM-2051, HCM2052, HEV-312, HEV-355. Compare to part # HAC-504, HAC-504AW, HAC504V1. 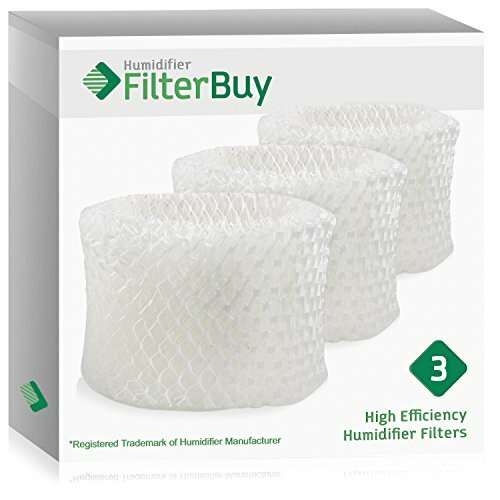 FilterBuy Honeywell HAC-504AW Compatible Humidifier Filters (Pack of 3). Designed by FilterBuy to fit Honeywell HCM-600, HCM-710, HCM-300T & HCM-315T. Compare to Part # HAC-504AW / HAC-504. 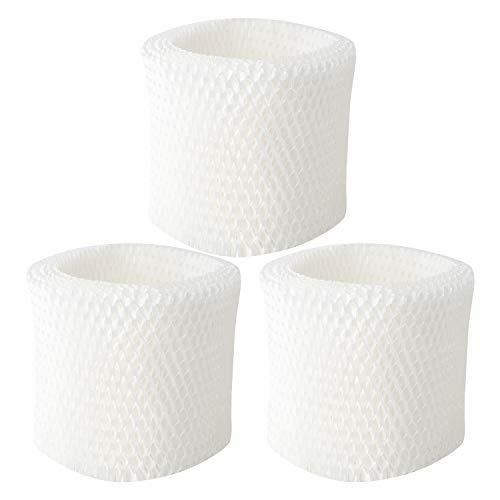 Pack of 3 Honeywell HAC-504 Humidifier Wick Filters. Aftermarket replacement filters manufactured by FilterBuy. 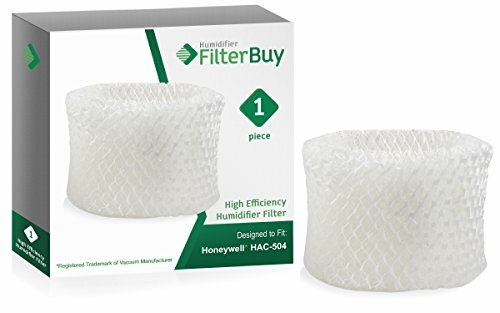 Designed by FilterBuy to fit Honeywell Cool Moisture Humidifier models 63-1508, ECM250i, DH835, HCM-53x, HCM-54x, HCM-300T, 310T, 315T, 330T, 350, 530, 535, 535-20, 540, 550-19, 550, 551, 560, 630, 631, 632, 632TG, 635, 640BW, 645, 646, 650, 710, HCM1000, HCM1000C, HCM1010, HCM1010C, HCM1020, HCM2000, HCM2000C, HCM2001, HCM2002, HCM2020, HCM2050, HCM2051, and HCM55019. Compare to Honeywell Part # HAC-504AW. Dimensions: 5 H x 4 1/4 ID x 6 1/2 OD x 1 Thick. 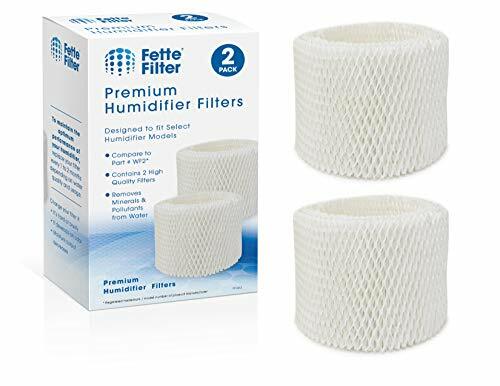 Premium aftermarket replacement, designed by FilterBuy in the USA. 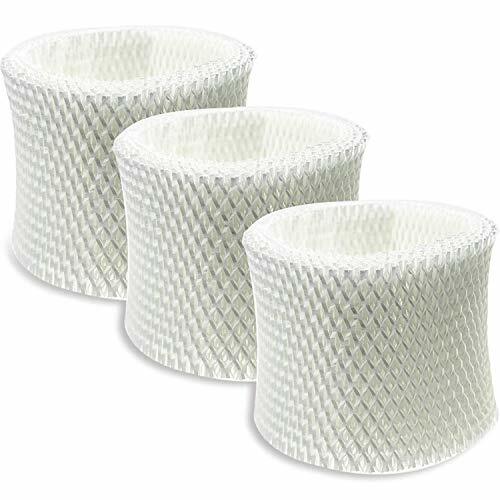 Contains 3 replacement wicking humidifier filters. Removes minerals and pollutants from water. Compatible with HCM-300 Series: HCM-300T, HCM-305T, HCM-310T, HCM-315T, HCM-350, HCM-350B, HCM-350W, HCM-450BCST, HCM-500 Series: HCM-530, HCM-535, HCM-535-20, HCM-540, HCM-550, HCM-550-19, HCM-551, HCM-560. HCM-600 Series: HCM-630, HCM-631, HCM-632, HCM-632TG, HCM-635, HCM-640BW, HCM-645, HCM-646, HCM-650, HCM-700 Series: HCM-710, HCM-1000 Series: HCM-1000, HCM-1000C, HCM-1010, HCM-2000 Series: HCM-2000C, HCM-2001, HCM-2002, HCM-2020, HCM-2050, HCM-2051, HCM2052, HEV-312, HEV-355. 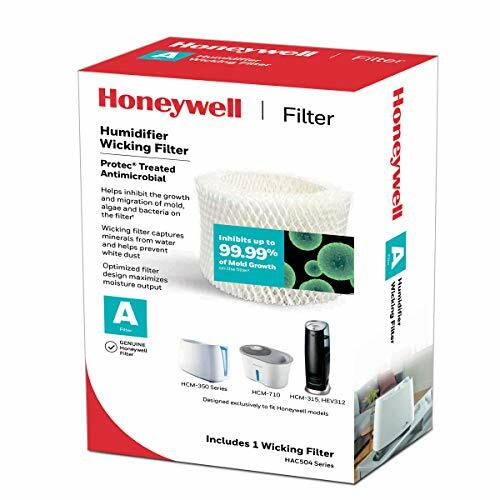 FilterBuy Honeywell HAC-504AW Compatible Humidifier Filter. Designed by to fit Honeywell HCM-600, HCM-710, HCM-300T & HCM-315T. Compare to Part # HAC-504AW/HAC-504. 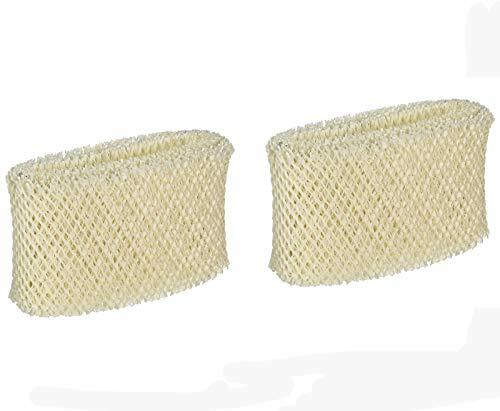 FilterBuy Honeywell HAC-504 Humidifier Wick Replacement Filters. 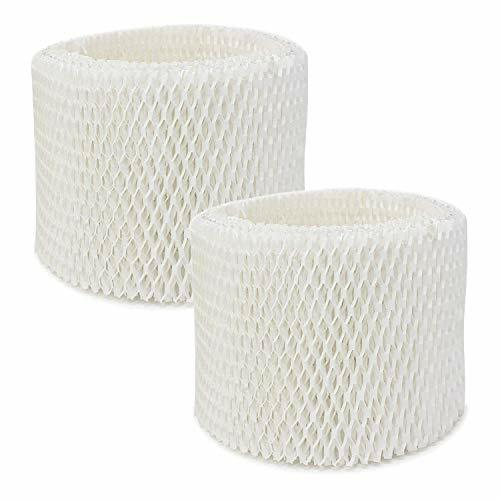 Designed by FilterBuy to be compatible with Honeywell Cool Moisture Humidifier models 63-1508, ECM250i, DH835, HCM-53x, HCM-54x, HCM-300T, 310T, 315T, 330T, 350, 530, 535, 535-20, 540, 550-19, 550, 551, 560, 630, 631, 632, 632TG, 635, 640BW, 645, 646, 650, 710, HCM1000, HCM1000C, HCM1010, HCM1010C, HCM1020, HCM2000, HCM2000C, HCM2001, HCM2002, HCM2020, HCM2050, HCM2051, and HCM55019. 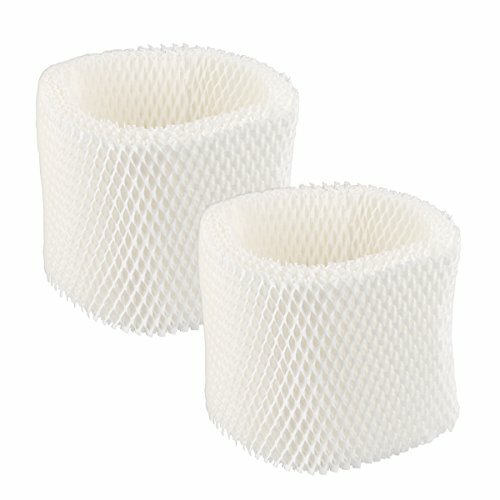 Pack of 2 Honeywell HAC-504 Humidifier Wick Filters. Aftermarket replacement filters manufactured by FilterBuy. FilterBuy Honeywell HAC-504AW Compatible Humidifier Filters (Pack of 4). Designed to fit Honeywell HCM-600, HCM-710, HCM-300T & HCM-315T. Compare to Part # HAC-504AW / HAC-504. 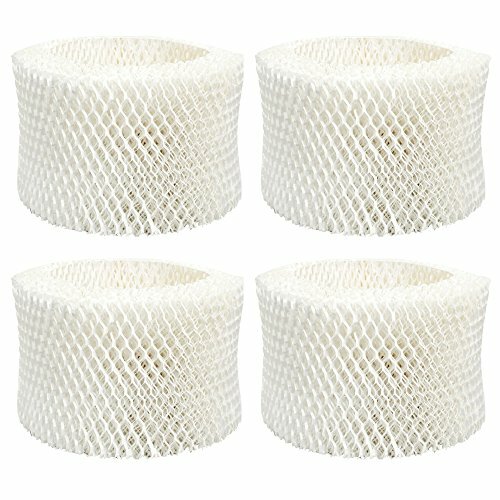 Pack of 4 FilterBuy Honeywell HAC-504 Humidifier Wick Replacement Filters. Humidifier Wicking Filters. Compatible with Honeywell HAC-504AW, Filter A. For use with cool moisture evaporative humidifiers. 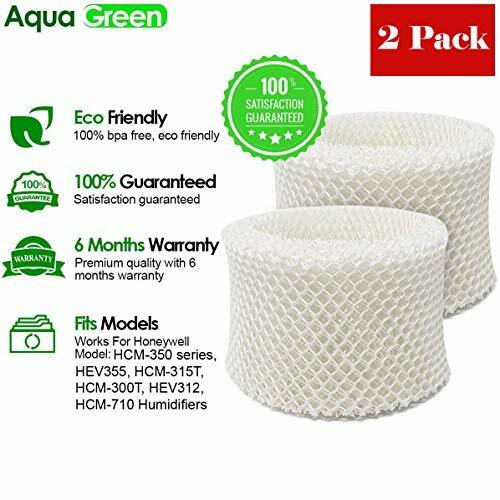 Contains 2 replacement wicking humidifier filters. Removes minerals and pollutants from water. Compatible with HCM-300 Series: HCM-300T, HCM-305T, HCM-310T, HCM-315T, HCM-350, HCM-350B, HCM-350W, HCM-450BCST, HCM-500 Series: HCM-530, HCM-535, HCM-535-20, HCM-540, HCM-550, HCM-550-19, HCM-551, HCM-560. <br> HCM-600 Series: HCM-630, HCM-631, HCM-632, HCM-632TG, HCM-635, HCM-640BW, HCM-645, HCM-646, HCM-650, HCM-700 Series: HCM-710, HCM-1000 Series: HCM-1000, HCM-1000C, HCM-1010, HCM-2000 Series: HCM-2000C, HCM-2001, HCM-2002, HCM-2020, HCM-2050, HCM-2051, HCM2052, HEV-312, HEV-355. Designed specifically to optimize performance and output. 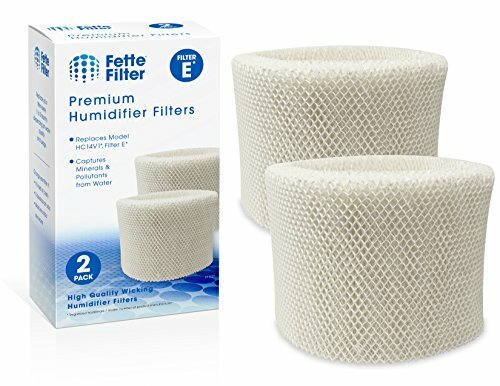 Two High-Quality Filters Manufactured by Fette Filter. 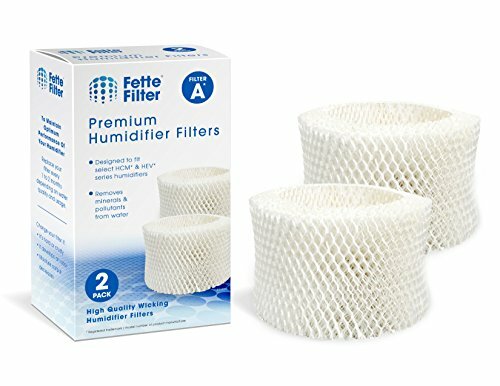 Fette Filter - Humidifier Wicking Filters Compatible with Vicks & Kaz. Contains 2 Wicking Humidifier Filters. Compatible with Vicks Models: V3100, V3500, V3500N, V3600, V3700, V3800, V3850, V3850JUV, V3900, V3900JUV, VEV320. Also Compatible with: 3020. ECM-250i, ECM-500. WA-8D. ✔️ AIR PURIFIER HEPA FILTER FOR ALLERGIES: True-HEPA H13 charcoal filter captures 99.97% of airborne pollutants; smoke, pollen, dust, pet dander, mold, and cooking odors and other allergens as small as 2.5 microns. Feel refreshed enjoying clean safe air in your home or office. ✔️ ALL-IN-ONE: The replacement filter is a combination unit that contains the mesh pre-filter, H13 HEPA filter, and activated charcoal all in one. ✔️ EASY TO CLEAN: For best results, remove the filter once a month and clean with a soft brush or gently vacuum. DO NOT GET FILTER WET! ✔️ EASY TO CHANGE: Turn off and unplug the unit. Turn the purifier upside down on a soft, non-scratch surface. Turn filter counter-clockwise to remove. Remove packaging from replacement filter and insert into base of purifier. Turn filter clockwise to secure. Turn unit upright, plug in and turn it on. Press and hold the 'Reset Filters' indicator button until the light turns off. ✔️ RELATED: SilverOnyx HEPA Air Filter Replacement 1 10 2019 3 5500 ac4100 ac4825 ac5250pt aer1 affordable allergen allergies best buy c535 cheap clean cleaner cleaners cnet compact cool depot dust dyson enviracaire fan filters for germguardian hepafilter holmes home homedics honeywell hpa300 idylis in large levoit link machine mold oransi permanent pets pure purifier purifiers purifying rated removal remover reviews room small smoke therapure top true under vornado walmart washable winix. 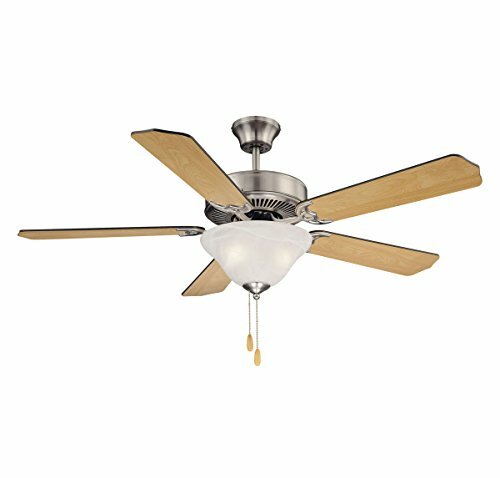 Fits Honeywell enviracaire model 10500 (EV-10) series and Honeywell models 17000, 17005, 170xx, and 83170. This aftermarket HEPA filter is 99.97% effective at removing particles as small as .3 microns from the air that passes through the filter. Measures approximately 6 H x 6 ID x 11 1/4 OD. For optimum performance, replace filter every 12 months. Surround Seal filter technology prevents dirty air from leaking around the filter. 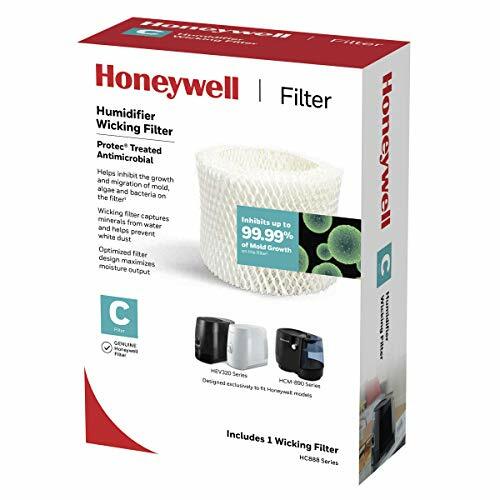 To ensure stated product performance, use only genuine Honeywell Replacement Wicking Filter model HC-888. 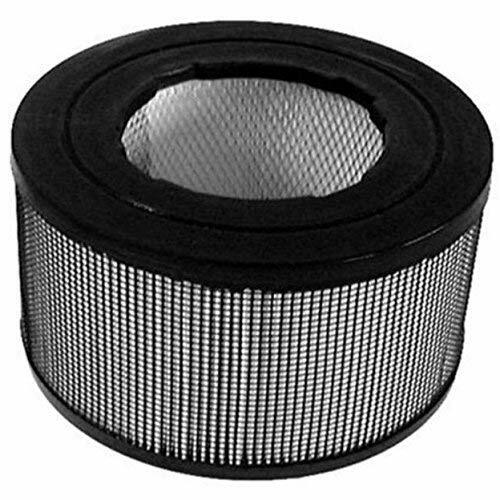 It is treated with Protec antimicrobial to inhibit up to 99.99% of mold growth on the filter.